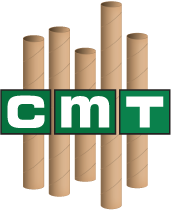 Chicago Mailing Tube (CMT) offers 3.000" x 24" heavy duty kraft tubes with plastic plugs. We are confident that our heavy duty tubes are the most sturdy and durable in the market for the handling of carriers. You can rest assured that your products packaged in these heavy duty tubes will get to their destination safely. Furthermore, our mailing tubes are cost effective and serve as a reliable method of shipping all of your commercial products or industrial products for your business. 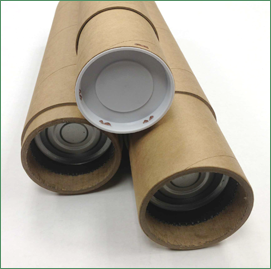 Chicago Mailing Tube (CMT) makes the highest quality products in a controlled production facility to ensure that each mailing tube is made with the highest standards. Since we operate in one building, we can ensure everything is as cost-effective as possible. We have the best production capabilities and can meet 24-hour shipping deadlines due to our state-of-the-art machinery. Give us a call at (312) 243-6050 to speak to one of our service representatives today. There is no minimum order required for your 3" x 24" heavy duty kraft tubes!